Deputy Chair of Fifa's ethic committee, Petrus Damaseb, says there will be a full inquiry into allegations of bribery and that those officials accused should be suspended ahead of that inquiry. 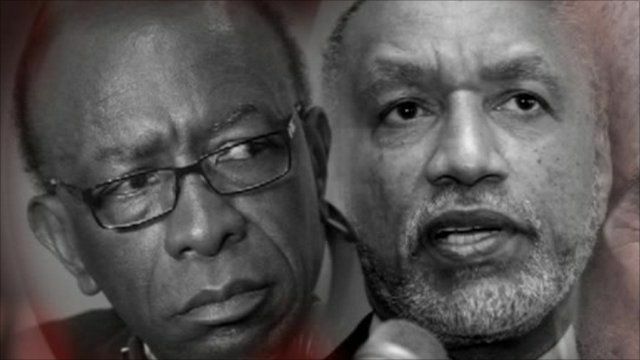 The head of Asian football Mohamed Bin Hammam and Caribbean Football Union (CFU) chief, Jack Warner, have been suspended from football activities pending the inquiry. However, no action will be taken against Fifa president Sepp Blatter.